One would think that major cities like London, New York or Los Angeles would be the places where history is being written. But instead, what most people refer to as the foundation of Heavy Metal was mainly pushed out of a small town in the northern parts of England, Wallsend. 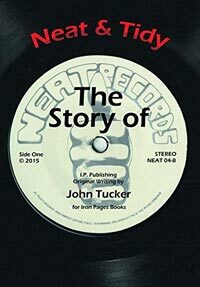 Most metalheads should be familiar with Neat Records as this label housed the today’s major acts as VENOM, TYGERS OF PAN TANG, RAVEN and many more. Bands which really set their own standard on how Heavy Metal should sound, which wouldn’t have been possible without independent labels as Neat Records. There is one official Biography written about EUROPE already, ”Den Stora Rockdrömmen” (Free translation; The Big Dream Of Rock). This one though was published in 1987 so there ought to be some room for one more. Especially since EUROPE’s career had only started at that time. 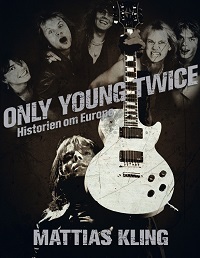 But no, this is not a biography, this is a history book about Sweden’s biggest band, how the journey started in the Suburbs of Stockholm and took them all over the world. The research done by Mattias Kling is fantastic, there are many and different sources that has built the story.